Experience the Grand Canyon Adventure of a Lifetime! As the first rafting outfitter in North America, Hatch River Expeditions provides the ultimate Grand Canyon white water rafting adventure. Imagine drifting by raft down an ancient river flowing between magnificent red rock canyon walls and through impressive white water rapids. Allow history and nature to accompany you on this grand expedition. Trust our experience of over 80 years in Grand Canyon and allow us to take care of all the details so that your Grand Canyon vacation can be just that...a vacation! We want you to have the best possible time on your river trip while remaining safe and healthy. To that end, we require each guest to complete a pre-booking form that will help us get a conversation started about what our trips look like, what your needs are, and whether the trip you've selected is a good fit for you. Hatch River Expeditions staff focuses on customer service beginning with our reservations staff and ending with our experienced river guides. Allow the reservations specialists to assist you throughout the planning process and help you prepare. Let our river guides take you on an incredible journey through one of the Seven Wonders of the World. Enjoy the pampering, education and entertainment provided by the Hatch crew and remember that the friendships forged and stories told in the depths of the Canyon tend to last a lifetime. I did the one week motorized Grand Canyon tour with hikes. Impeccable staff who are kind, friendly, patient, easy going and know everything about the canyon. Group I was with was great as well. Food was surprisingly good too! These Hatch River Expeditions shirts, hats, water bottles, and other items will serve you well on your trip down the Colorado River AND make great souvenirs when you get back home. We even have cozy sweatshirts and fleeces to remind you of that warm Grand Canyon sunshine when the weather outside is not-so-cozy. you may be ready to book! If so, find your trip on our Direct Booking page and sign up for a Grand Canyon river trip today! To state it simply, expect an unforgettable adventure. Whether you choose a motorized or oar powered Grand Canyon white water rafting expedition, know that excitement waits around every river bend. Discover Native American history at Nankoweap Granaries and Unkar Delta; experience the majesty of 75-foot Deer Creek Falls. Swim and splash at the Little Colorado and jump into the sparkling pool at Elves Chasm. Appreciate some of the oldest exposed rock formations in the world: Visnu Schist and Zoraster Granite. Our guides do their very best to make sure you have the adventure of a lifetime. 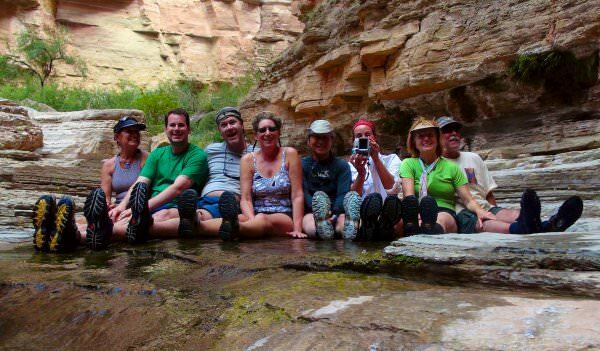 We focus on providing guests with memorable Grand Canyon white water rafting vacations. Let our reservations staff help you with selecting a trip to fit your wishes. We assist guests throughout the entire planning process with helpful tips and information regarding anything from travel logistics to what to wear on the first day of rafting. You are our top priority. 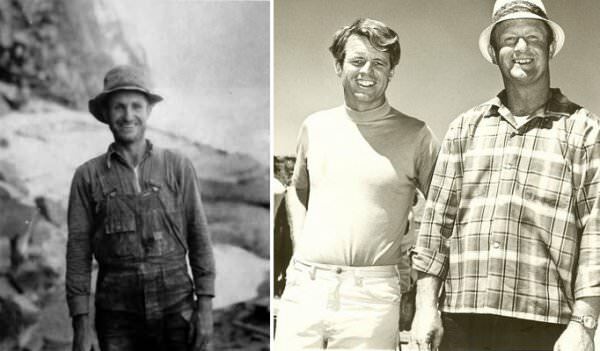 We are a family run company with a rich history in the river rafting community. Bus Hatch started rafting the Grand Canyon in 1934, and is widely regarded as one of the forerunners of white water rafting. The heritage continues today with his grandson, Steve Hatch, at the oars of this small family owned business. The Grand Canyon is the only place where you will find the original pioneers of white water rafting still operating. Experience the legacy on a Hatch trip and find out why the original white water rafting company still delivers some of the finest rafting trips in the country. We invite you to come and join the Hatch rafting family. Days consist of thrills and discovery of hidden gems throughout the Canyon. Nights are a time to be pampered with delicious meals, camaraderie and relaxation under the starry sky. Let us take you on a journey where you can see Grand Canyon in all its glory while relishing the adventure, learning the history and perhaps even meditating in this serene wilderness.